Hire circus troupes, acrobats, stilt walkers, jugglers and gymnasts. All the fun of the fair for your event! Dazzling compact and mobile circus troupe offering light-up jugglers, aerial hoop acrobats, diabolo, cyr wheel and poi performers. This is truly a spectacle fit for the finest events! Wonderfully weird stilt walkers on a mythical dragon theme! Add a touch of carnival to your event with 2, 3 or 4 of these exotic, high-energy walkabout entertainers. Unbelievable performances from this troupe of professional acrobats who have performed for Aston Villa FC, Boohoo and The London 2012 Olympics! Ideal for spectacular private and public events. Various line-up options available. Magical light show from 2 to 7 graceful stilt walkers - choose the colours yourself to match the theme of your event, party or wedding! Incredible rhythmic gymnasts who have represented Great Britain at The Olympics! Choose from ribbons, balls, clubs and hoops performed by 1, 2, 3 or 4 professional gymnasts. Spellbinding mobile aerial show featuring 2 incredible acrobats! This compact, revolving aerial rig is the perfect choice if your venue isn't set up for circus acts, and can be taken down in 5 minutes to give your guests space for dancing. Elegant stilt walkers in stunning light-up bell costumes to give your event a customized magical finishing touch! 2 stilt walkers available for parades, weddings and celebrations. Using innovative light staffs to create displays with your company logo, buzz words, images or photos, these acrobats create a bespoke and tailored experience for every client! Wacky and wonderful tribute to The Queen of Hearts, from 'Alice's Adventures in Wonderland'. 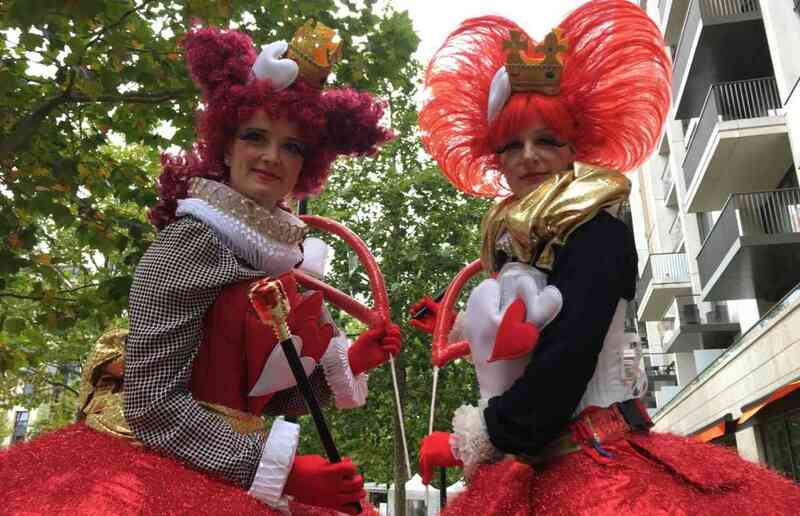 Hire 2, 3 or 4 wonderland themed stilt walkers, ideal for carnivals, parades and parties. 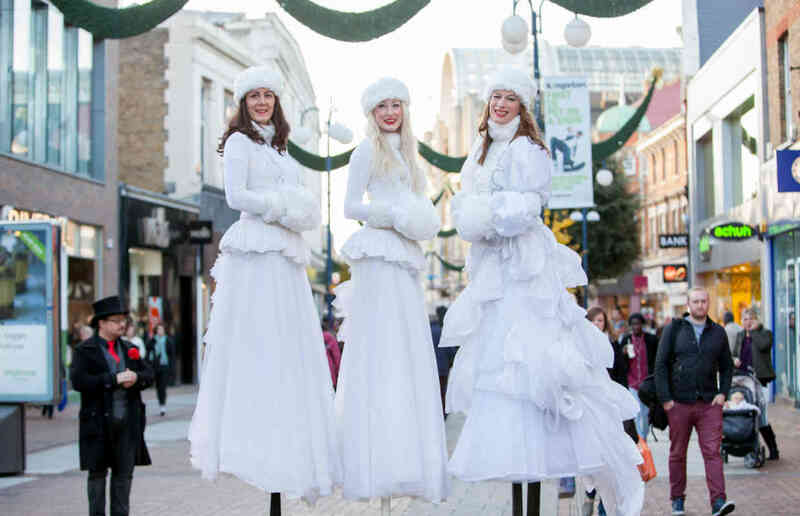 Winter wonderland themed stilt walkers create a fairy tale atmosphere for the festive season and white parties. Up to 4 wintry, snow white stilt walkers available. Fabulous stilt walkers with a Great British theme! 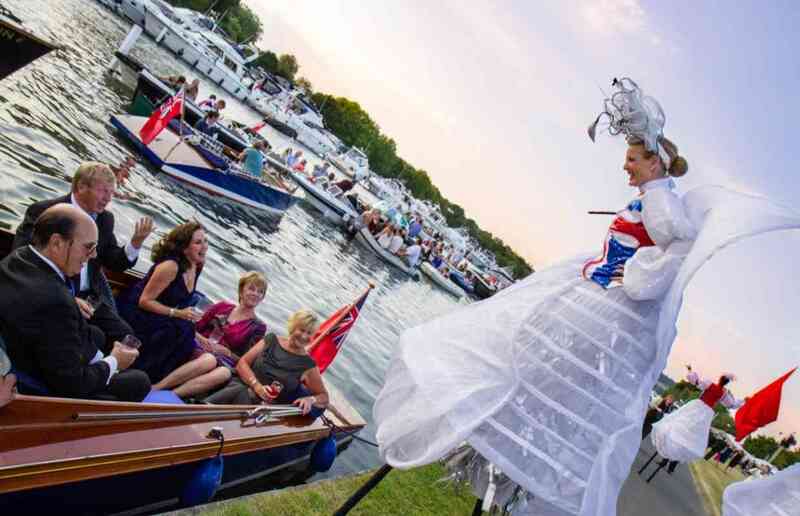 Jazz up your event with these interactive stilt walkers dressed in Union Jack costumes, and get everyone waving their flags. Light up options also available.